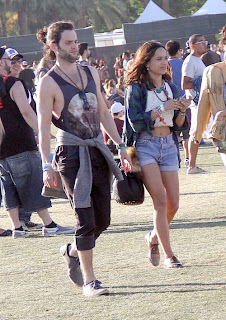 Gossip Girl star Penn Badgley and his adorable girlfriend Zoe Kravitz spent some time at Coachella on April 21st. The two were taking photos of different performers and were apparently "laughing together all day." Penn attended a SKYY Vodka event earlier in the day where he met up with some celebrity friends. Even though I'm obsessed with "grungy" guys, Penn looks terrible. 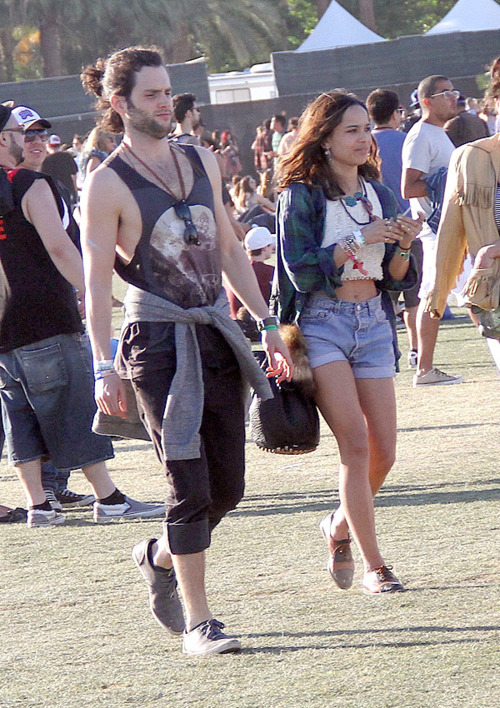 Please go back to your Dan Humphrey days. Please.